Following a homecoming football game, something disastrous happened. An Alabama high school kid assaulted over BLM post. Police Chief Kelly Johnson of Sylacauga said that witnesses informed the social media post is what sparked the incident. One or more black teens played a role in assaulting Brian Ogle, a 17 year old. This was according to WBRC-TV. When the authorities found Brian Ogle, he was bleeding from the head. He was taken to a local hospital before being airlifted to UAB Hospital. At t his point he was in critical condition. 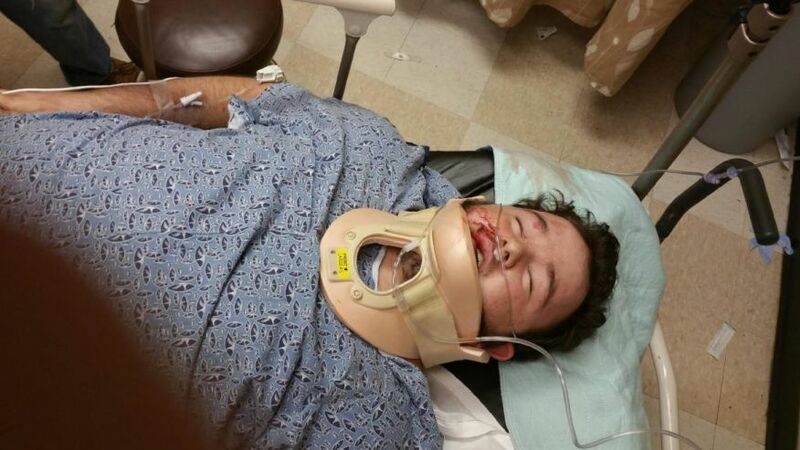 Ogre’s mother informed WBRC-TV that Brian is suffering from a fractured skull and also is bleeding from the brain. To gain information on the incident, more than 20 people were interviewed. This included witnesses, persons of interests, families and more. Even though police haven’t released a motive, it is fairly clear that it was racially motivated. Brandi allen, Brian’s mother, is very angry with the events and is pressing for arrests to be made. What do you think about this story? Will justice be served? Why isn’t the mainstream media picking up on it as much? Like and share on Facebook and help get this story out there and help Brian get justice.